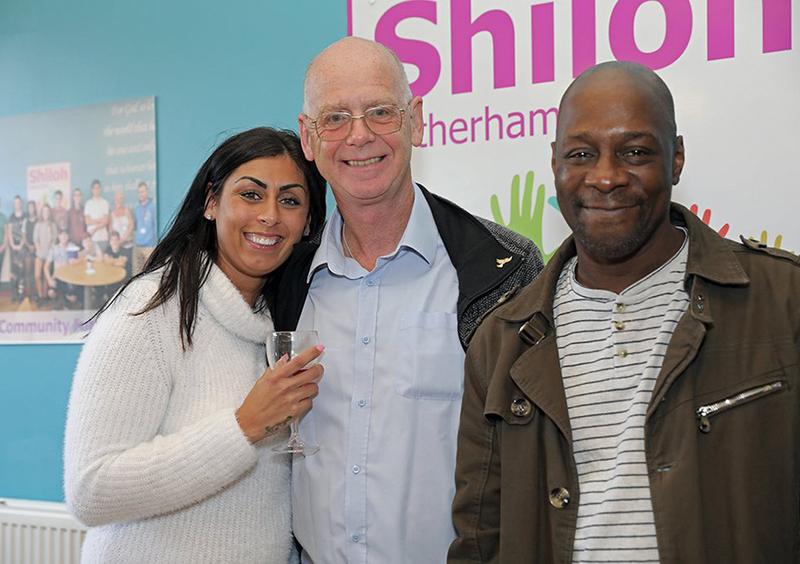 Shiloh is an inspiring place where volunteers are supported to help make a lasting difference in people’s lives. We are very proud of our achievements, especially that in 2018 we received the Queen’s Award for Voluntary Service. It is a significant award which really highlights the impressive ongoing commitment and dedication of our volunteer team. We really value everyone who gives up their time to serve others and you are invited to join us. If you join us, you will be joining other successful who make up the backbone of an enthusiastic team of people who are here because they want and are able to make a difference to people’s lives and well being. Our staff and volunteer teams are made up of people from different beliefs and faith’s, so all are very welcome to apply – and (it’s worth mentioning again!) you will be joining the award-winning team recognised with the Queen’s Award for Voluntary Service! Above: A volunteer training session (top) & a volunteer night out at the Wharncliffe. If you are interested in joining us in any of the roles listed below please complete the relevant application form or get in touch to arrange a visit and find out more. 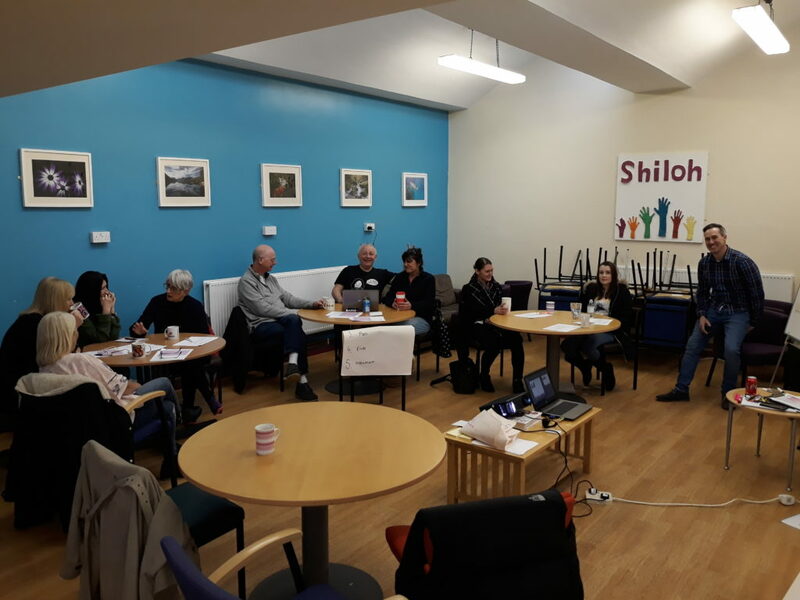 Shiloh Rotherham is volunteer-led and benefited from a Big Lottery grant in 2017 which enabled us to appoint four paid members of staff, including a Project Manager. There is a requirement for the charity to deliver against key lottery targets in line with the vision for Shiloh outlined in the business plan. We are looking to strengthen our Board further through the recruitment of several key voluntary Trustee positions. We are particularly looking for people with business and marketing skills. 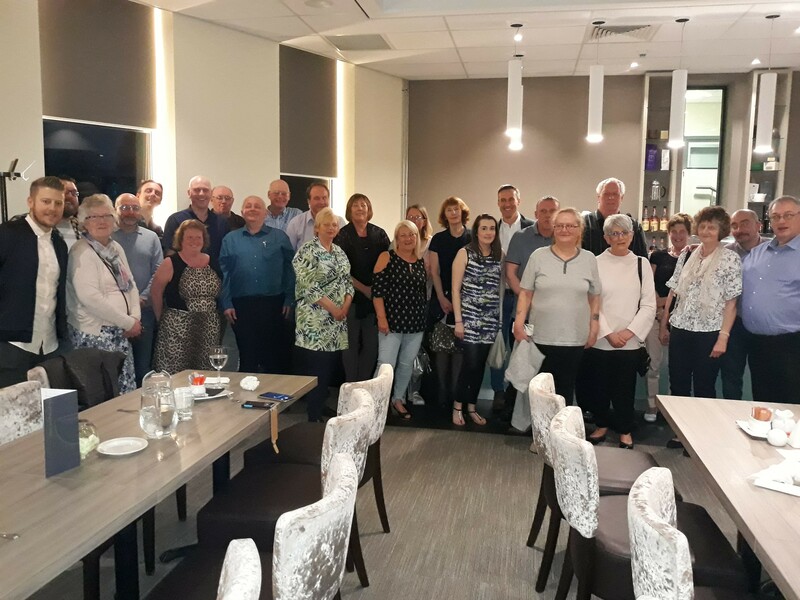 Mentoring – our guests have a variety of needs and you can play an important role in helping to get their lives back on track. We have a large commercial kitchen and we are looking for a variety of people who can help us to prepare breakfast and lunch, teas and coffees plus serving the food at the bain marie and assisting with cleaning duties and stock rotation. Food is one of the main reasons our guests visit us, so we need many hands to help serve them well.